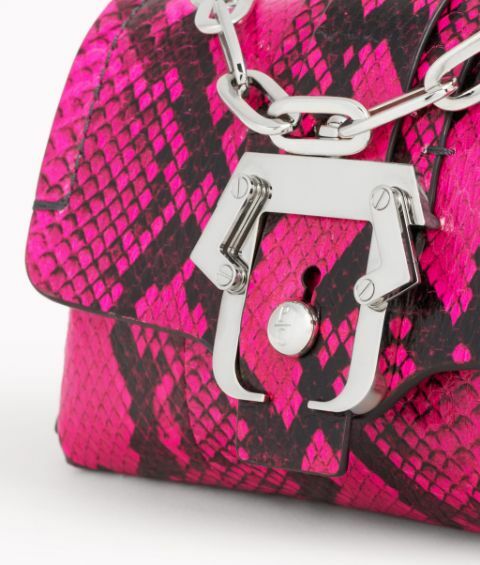 Add a pop of colour to your wardrobe this season with the Kaia Savage. 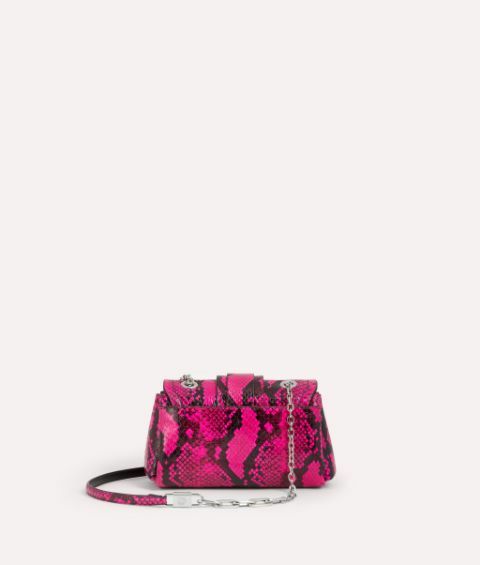 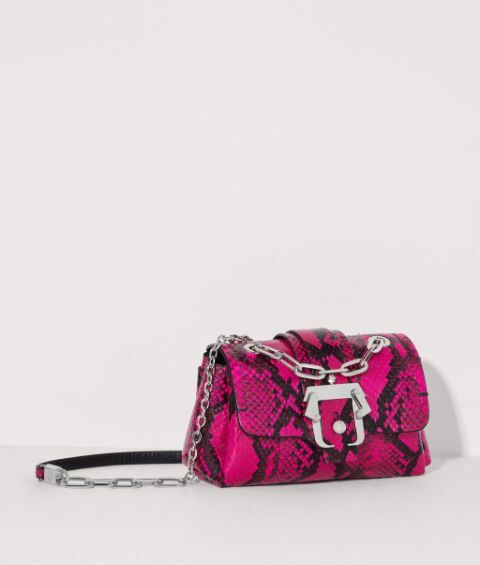 Flawlessly crafted from electric pink laminated elaphe skin and calf leather, this irresistible bag is complemented by a signature polished silver tone buckle. 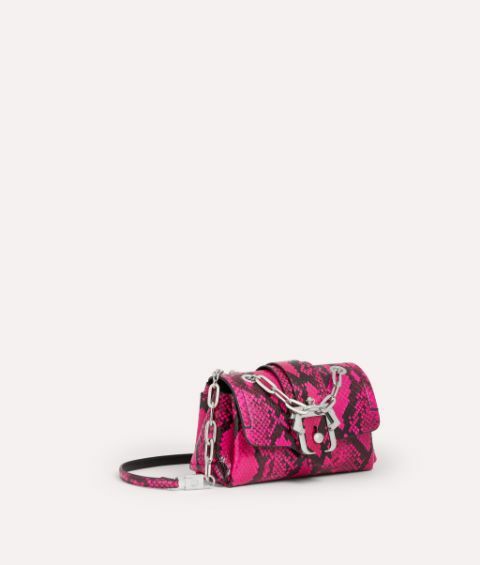 Unmistakably Paula Cademartori, it is finished with a shoulder strap featuring two types of chain.